Get Amazon Prime for $60 Instead of $99, Lock-In the Price for Years! Update: Amazon has changed the deal. It’s only valid for new Amazon Prime memberships and NOT gift subscriptions. This Friday, September 25, 2015, you can buy an Amazon Prime membership for $67, and save $32 off the normal price of $99. You’ll get free 2-day shipping, streaming movies and music, and more. And I’ll show you how to use a credit card to reduce the price to ~$60! And there may be a way to use a portal to get it down to ~$57! I’ll explain how you can lock-in the price for multiple years. And even earn miles, points, or cash back! I like that Amazon Prime now allows you to download their movies and TV shows to your device. This is useful for when you’re flying! It’s usually $99 per year. This Friday, September 25, 2015, it’s only $67. But you must make your purchase from 12:00 am Eastern Time to 11:59 pm Pacific Time to get the promotional price. What’s interesting about this promotion is you can buy an unlimited number of Amazon Prime gift subscriptions. And then save them to use in future years! That’s because Amazon Prime gift subscriptions never expire. 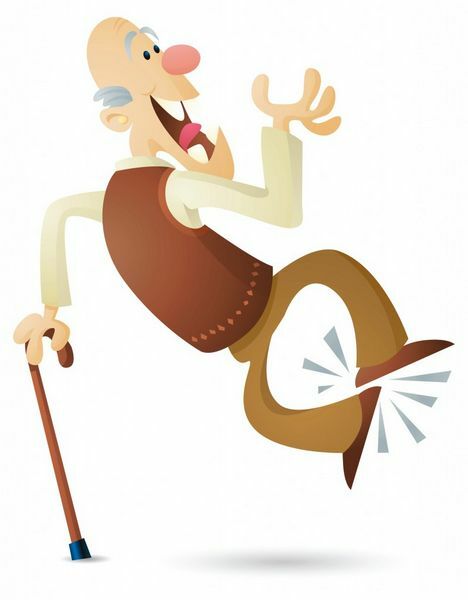 So you’ll have the chance to lock-in the price for as many years as you want! Or, you can give them to friends or family to enjoy. Earn 10% Cash Back With the Discover it Card at Amazon.com! If you’re a new Discover it Cash Back cardmember (or if you signed-up for the promotion), you’ll get 10% cash back on purchases from Amazon, including Amazon Prime subscriptions! That’s because Amazon is a 5% cash back quarterly category. You’ll get 5% cash back when your monthly billing statement closes, and another 5% cash back after the 12th billing cycle, for a total of 10% cash back. So it’s like getting an Amazon Prime membership for only ~$60 a year! That’s a fantastic deal! And remember, you can save 15% off Amazon purchases when you have the Discover it Cash Back card AND shop through the Giving Assistant shopping portal! I’m not sure if Amazon Prime is eligible for cash back through Giving Assistant. But if you’re going to purchase this deal anyway, it doesn’t hurt to try! Let me know in the comments if you got the extra 5% cash back from Giving Assistant on your gift subscription! 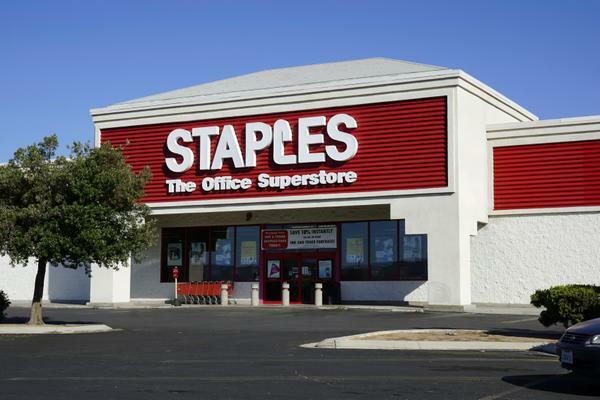 Earn Bonus Points or Cash Back When You Purchase Amazon Gift Cards at Office Supply Stores. And Then Use Them to Buy Amazon Prime Gift Subscriptions! If you have the Chase Ink Bold, Chase Ink Plus, or Chase Sapphire Preferred you can transfer your points to travel partners for Big Travel! And remember you can buy discounted Amazon gift cards at grocery stores. So there are lots of ways to earn miles or cash back with this deal! 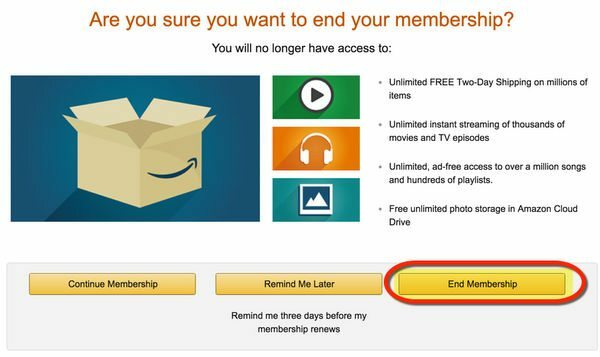 Update: You can NOT use an Amazon gift card to buy a regular Amazon Prime membership, but you CAN for a gift membership. If you’re purchasing a membership for yourself, just include your email as the recipient. Thanks to Million Mile Secrets readers for the heads-up! 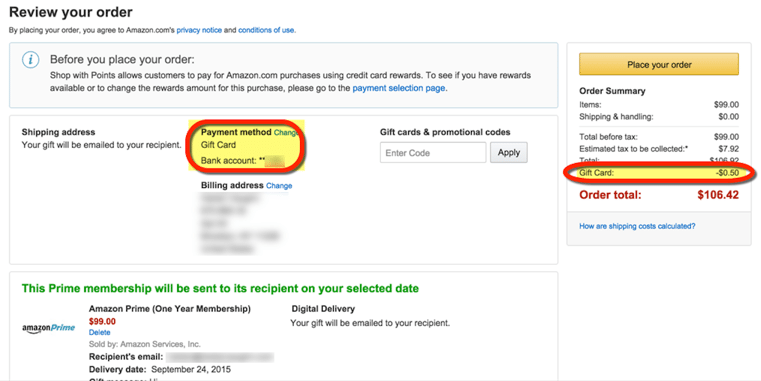 When you buy a gift subscription (or several of them), you’ll get an email with a link to activate Amazon Prime. Make sure you open the email and then log into your account, or the account where you want to use the membership. If you want to use the gift subscriptions for multiple years, be aware you’ll have to let your current membership expire to activate a new one. Wait until a couple of days before it expires, then de-activate it. And then reactivate with 1 of your gift subscriptions. Find and click “End Membership” on the right side of the screen. Every year after, you can activate a new Amazon Prime membership from the gift subscriptions you purchased. And, you can always buy 1 and then renew at the price Amazon will charge in the future. Just remember to save the emails in a place where you can find them again! For 1 day only, September 25, 2015 (this Friday! ), you can buy an Amazon Prime membership for only $67 from 12:00 am Eastern Time to 11:59 pm Pacific Time. You’ll get lots of perks with Amazon Prime, like free 2-day shipping on items sold by Amazon, and unlimited streaming movies and music! 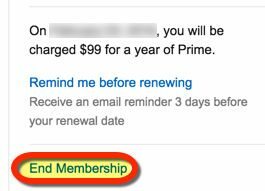 When you buy gift memberships to Amazon Prime, they never expire. So you can purchase more than 1 to lock-in this rate for years! Be aware you’ll have to let your current membership lapse, and then renew it every year with the gift subscriptions you purchase. Folks with a Discover it Cash Back earn 5% back at Amazon through the end of 2015 (when they register for 5X category bonuses). And new Discover it Cash Back card members (and those who registered previously) will see all their cash back doubled after their 1st 12 months, for a total of 10% back! This lowers the price to ~$60! Or use credit cards like Ink Plus, Ink Cash, or AMEX SimplyCash that earn 5X points or 5% cash back at US office supply stores to buy Amazon gift cards. Then use them to get Amazon Prime (gift memberships only). That lowers each year of Amazon Prime to ~$64. Btw, the Discover 5% quarterly category doesn’t start until 10/1, so I doubt one could get the extra 5% — most likely won’t take five days for the charges to post. Still a good deal at $67 though. Thanks. Looks like Amazon caught all the blogs and removed $67 price for gifts. You can still get it with a brand new subscription. I.e. if you already have amazon Prime you’d have to use a new email address to sign up a NEW account at the cheap price today. I just my “new” prime membership with amazon GC. But, like others, when I tried to buy a gift membership, the cost was $99. Still trying to find a workaround. Was anyone able to actually buy a gift prime membership for the promotional price? this is horrible and it appears Amazon has nip this in the bud. 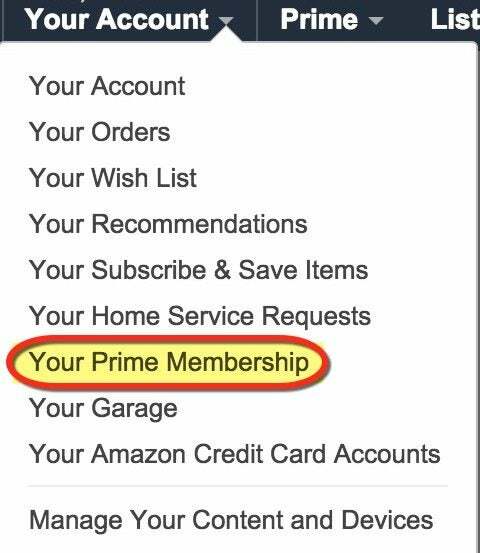 Main prime members only have the $99 option when logged into their account. There’s no splash screen regarding the show “Emmy Award winning” Transparent or advertisement for $67. Then I logged into my shared prime membership and I did see the splash screen advertising $67 for new members. There was no gift option and it had to be applied directly to my account. You can search for “prime membership” which will allow you to add to you basket as a gift but you’ll be charged the full $99. This doesn’t help me at all because my sisters membership doesn’t expire until april 2016 so I would lose 6 months if I were to sign up now. Horrible, just horrible. Has any existing Prime members been able to purchase the “gift” memberships at the discounted price? Still shows $99 for me.